This snail recipe is a lavish concoction from Laurie Gear featuring an array of princely ingredients. It relies on some great craft from the reader in order to execute the dish, but the end result is tremendously rewarding. 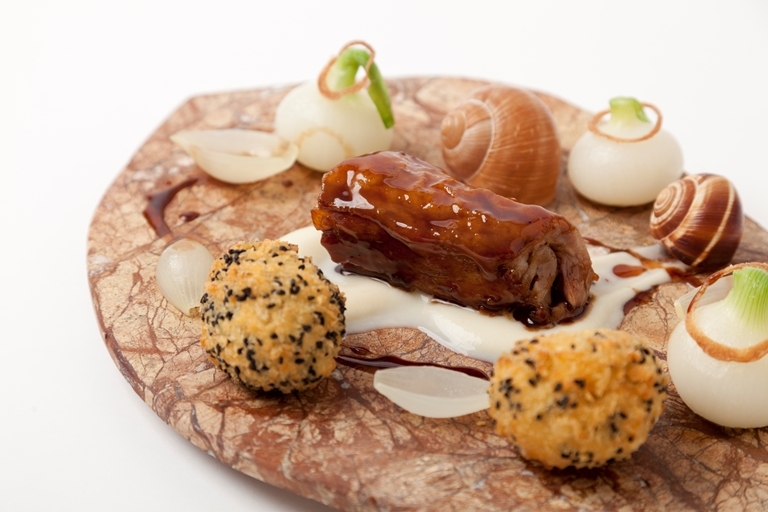 Snails and pig's tails give the dish an almost medieval feel.